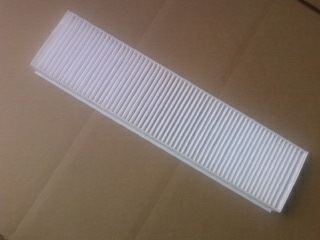 In Cabin Air Filter for your 2002-2006 R50 R53 MINI Cooper and Cooper S, and R52 2005-2008 MINI Cabrio Heating and A/C system. This filter goes behind the glove box and filters all outside air before it goes through the heat & A/C system. These are the newer style all fabric/paper filters so they are easier to fit than the old plastic/paper style. 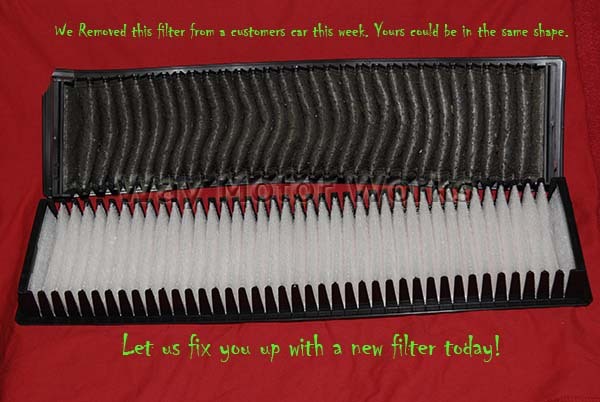 If you are beyond your maintenance warranty then you should add this filter to your exchange list. WMW recommends you exchange this filter following the service interval displayed when you start your car. Or change it once a year to prevent interior odors, mold growth, and help with allergies. This is available as a standard filter, or in charcoal version. The Charcoal works better for filtering odors.